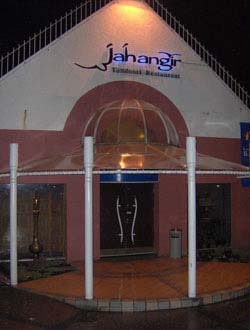 Jahangir Tandoori is all about taste and delicious food. It provides traditional sundries, vegetable side dishes, soups and appetizers. The interesting decorations and the friendly staff sustain the statement that Jahangie Tandoori is one of the best Indian Restaurants in Dundee. With natural ingredients and impressive plate arrangements, the food turns out to be unique. The Taza Indian Buffet is the perfect place for you and your family to have dinner or just a meal together. Why is that? Well, this particular place is simply the best in town. If you are in search of an Indian restaurant, take into consideration this place too. 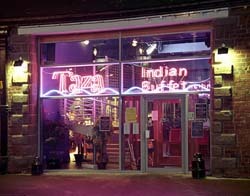 The Taza Indian Buffet provides a wide variety of food and home delivery too. Moreover, this place is child-friendly and it is an ideal place for groups. Make a reservation and you will not regret it! • What I most like here is the chicken pakora and spicy wings, no restaurant can prepare this better than Taza Indian Buffet. I was here 5 times and I always order the same thing, I will definitely come back! 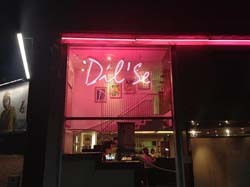 Dil'se is a Bangladeshi and Indian Restaurant opened in 2003 in Dundee. Taking into account its fine food and the excellent client quality service it is easy to understand why it is one of the most impressive restaurants in this area. 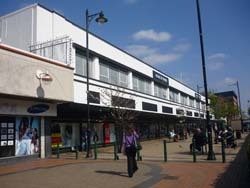 This particular place has been awarded 'The Dundee Civic Trust Award' for the outstanding architecture of the building and the area in which it is situated. It is simply the best Indian Restaurant in Dundee! 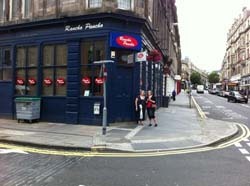 Bon Appetit is one of Dundee's most classic French restaurants. With its traditional French cuisine and the excellent location, this restaurant is your perfect get-away. 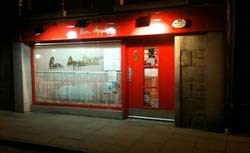 Bon Appetit was one of the finalists in the competition entitled 'The Scottish Restaurant of the Year' in 2011, as a result there is no doubt that here you can find high standard quality services. The reasonable prices and the wide variety of wines convert this place in one of the most reliable in town. Some of the strongest points of this authentic French restaurant are the fresh food, the fantastic wine collection and the Mediterranean French cuisine. Every week there is a different menu and therefore if you want to eat here it is necessary to make a reservation in advance. Le Rustique is the perfect place to socialize, make friends or just try some of the French recipes. Great breakfasts, tasty lunches or even exquisite dinners are available here. You just have to try it! 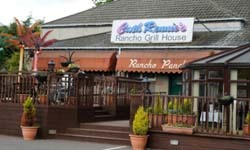 Rancho Pancho excellently captures the Mexican atmosphere and transposes it in the heart of Dundee. 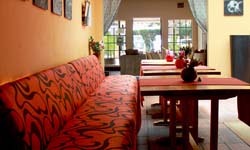 This restaurant provides a cozy environment, delicious food and extraordinary services for its clients. It is a suitable place for private parties, business meetings but also for family gatherings. Moreover, here you have the opportunity to save money each time you come, due to its reasonable prices and well-prepared plates. Situated in the Angus village of Wellbank, Rennies Cath is your ideal place to relax and enjoy your free time. One of the best things about this place is the 'Dine Inclusive' menu. With this menu, you are sure that you will not overpass your budget. In other words, the customer pays the main course dish and the restaurant pays for the rest. The food is always fresh, while the staff is always at your service. Try it and you will not regret! Either that you want to find out something more about the famous captain Scott and his crew, or that you want to relax and taste a good wine, come and visit the RRS Discovery. The imagination of the chefs, the amazing view and the ravishing past of this ship may brighten your day. This traditional three-masted ship is known to be the main tourist attraction in Dundee. Do not miss it! Visiting Dundee? Come face to face with a stunning beauty, both in what concerns its architecture and its fresh food. The accurate service and the availability of the staff will definitely impress you. With a wide choice of food and drinks, a relaxing environment and classy decorations the Frasers Restaurant will be your best solution. For a trip to remember come to the Frasers Restaurant! If you want a place with fantastic food and friendly staff, you have found it. The Beefeater Grill Restaurant is without doubt the best in town! The chefs here offer you the opportunity to taste some of the most exquisite selection of classic food and tasty specialties. This restaurant is the dazzling combination between past and present, between traditional and original plates. Come and see it for yourself!